I started my fundraising career over a decade ago, working for large household name charities. I learnt a lot about best practice and fundraising in general. The real learning came though, when I joined a small local charity with an ambitious plan to implement a new fundraising strategy on a shoestring budget. There are lots of challenges that small charities face: competition, lack of resource, lack of money coupled with an urgent need to get funding through the door. I learned that with passionate people, a strong cause, clear strategy and a professional approach to fundraising it is possible to achieve great results. I have worked for small and medium-sized organisations, helping them to establish new fundraising strategies and review existing programmes, utilising their existing resource. Helping charities on their path to fundraising and getting transformational results is what I truly love and this is why I decided to start Nova Fundraising in 2017 – to provide professional fundraising solutions that will help charities shine brighter. I started fundraising as a volunteer bid-writer for an Environmental charity whilst I was studying at Sussex University. Little did I know that this first exposure to fundraising would be the start of a career spanning over a decade and become a real passion of mine. Since that volunteering role, I have worked for a diverse range of cases, from very large international organisations, to being a sole fundraiser for small charities. I have implemented and delivered fundraising programmes covering all key areas of fundraising, from events, to trusts and individuals, plus everything in between. For the last five years I have focused working for small charities, often as a sole fundraiser, successfully establishing and implementing new fundraising strategies for organisations with little or no fundraising history and who also have little available resource. Having experienced working for small charities I can really empathise and understand the challenges they face. My most recent role was working for a new charity, where as Head of Fundraising I was responsible for developing and delivering a sustainable fundraising strategy for the organisation’s UK, Australian and US entities. As well as hands-on experience, I come highly qualified, holding the Institute of Fundraising’s Diploma and International Advanced Diploma in Fundraising. I believe in giving back to the fundraising community and hold a number of voluntary roles including: Board Member of the Institute of Fundraising Chilterns; Mentor for the Small Charities Coalition and Charity Advisor for the FSI. Getting the small local charity I worked for a meeting with a large national breakdown company. We may not have gotten a large charity of the year partnership, but we got noticed, raised awareness of the cause and gained some specialised support from them. 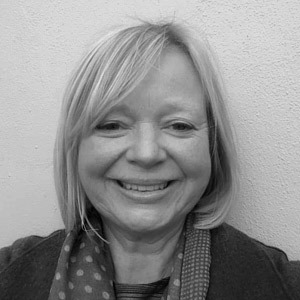 Fiona has over twenty years of extensive fundraising, evaluation and communications experience. She has worked for small to medium non-profit organisations helping them to transform vision into reality through raising significant income for both capital and revenue projects. Much of her work has focussed upon working with disadvantaged communities. Charitable causes have included social welfare, education, arts and heritage, faith amongst others. 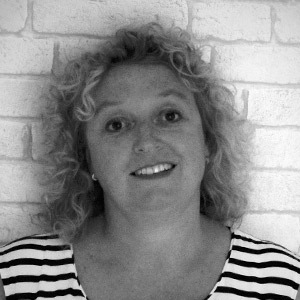 Originally from a design background she is passionate about the arts and is also a qualified coach. 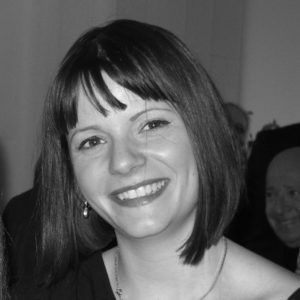 Vicki started her fundraising career in 2000 at Barnardo’s, initially as a member of the Corporate Fundraising Team. She went on to become a Trust Fundraising Manager, raising income from Trust and Foundations for all Barnardo’s project across Northern England, Scotland and Northern Ireland. Whilst at Barnardo’s Vicki secured significant grants from Children in Need, Comic Relief and The Big Lottery, alongside working on several large capital campaigns. In 2013 Vicki took up the role of Fundraising Manger for the national disability charity, Go Kids Go. Applying her skills, knowledge, enthusiasm and tenacity over the past five years, she has successfully given the charity much needed financial stability, the ability to grow staff numbers and enabled the charity to help a much greater number of disabled children and young people.